An office chair for home, a desk, notebooks, and pens. These are the mandatory items for a home office (supposedly), but what can complete a home office is the items that often fall under the radar when creating a workspace. Working from home is a rising trend slashing the commute, wardrobe decisions, and cheap office coffee down to a footnote in the comfort of your own space. An added pleasure of working from is the ability to create your own office space that reflects your individual preferences and productivity habits. Some people like darker colours and a vintage environment while some prefer a brighter, modern tone to enhance creativity and make the most of the sunlight. Whatever your personal preference, some home office furniture that may slip under the “mandatory” rug for your workspace can contribute drastically to not only your productivity but your enjoyment of the space you created. One of the first things a home office needs is a desk (if you really want to go nuts, here’s an exercise desk that is both a folding desk and an exercise bike), but what’s on the desk is as important. 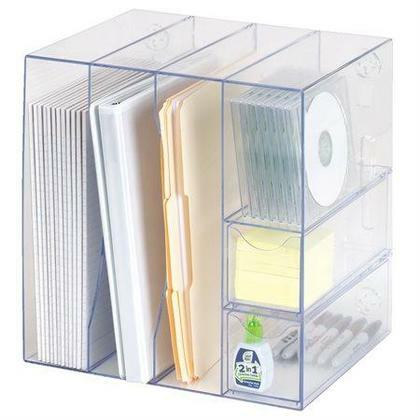 So, let us start with a solid desk organizer. These things are like organizational assistants, ready for duty whenever you need a pen, highlighter, pencil, paperclip, business card, or notepad/agenda. They can be simple, like this one or intense, like this one, either way—actually purchasing one of these can go a long way from the standard coffee cup jammed with pens and post-it notes. The next thing that may go under the radar that is as important as the desk itself is a keyboard drawer. These are space (slash life) savers for a home office. Regardless of how much space you need, it’s (A) awesome to have more and (B) important to have more. Projects get wild, papers spread, and having one of these under the desk eliminates the keyboard and mouse from adding to the clutter. Some keyboard drawers can also add an ergonomic benefit to your workspace, reducing strain on important muscles and joints. 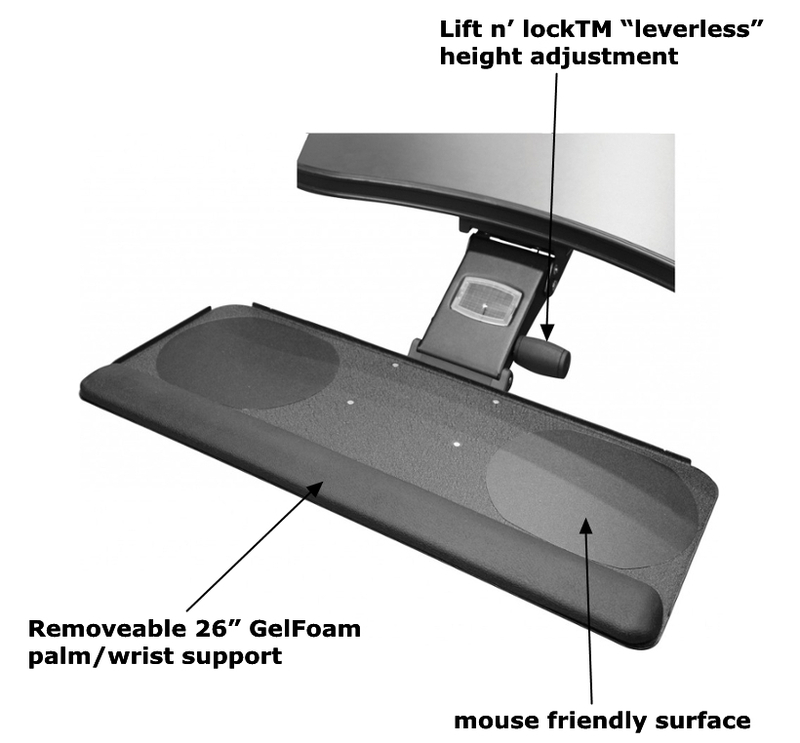 Ergonomics are important (we discuss them here <HYPERLINK ARTICLE 7 HERE>. A whole new chair is not always the best ergonomic solution when an ergonomic backrest support for your home office chair will add all the lumbar support you need. Backrest support will help fit your body shape and articulate your posture. Check out some more ergonomic accessories here. A beautiful bulletin board or whiteboard (check this out to see what you like better) is an excellent finishing touch to any home office. The concept of the organization is key to a home office space and can lower stress when working on multiple projects or complex tasks. Your space is just that, your space, and it deserves to positively contribute to your productivity while simultaneously giving a comfortable and creative environment. Don’t know where to start? Check out our Home Workspace Efficiency Package. (4) a bulletin or white board.